Robbie Daw presents a weekly pop music update here on Towleroad! Robbie runs his own site called Chart Rigger. Another year, almost over. At the onset each January, the music fan in me looks ahead, anticipating new whatever intriguing new releases may be on the way. Yet for many reasons, politics took the front seat to pretty much everything in 2008. Listening to and waxing philosophical on pop just kind of felt insignificant at many points over the past 12 months. Lil Wayne had the best selling album of the year with Tha Carter III, which moved 2.7 copies. The second best-selling was Coldplay’s Viva La Vida, which sold 1.9 million. By comparison, the top-selling album of 1998 was the Titanic soundtrack, at 7 million copies. 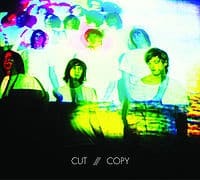 I was bummed that I missed catching Aussie dance trio Cut Copy live at every turn. Their latest album In Ghost Colors is pretty groovy, and definitely worth checking out (particularly the track "Lights & Music"). I did get to see MGMT live at Austin City Limits—which, as I read in Billboard today, was the fifth top-grossing music festival of the year, with $11.7 million in ticket sales. The band was a bit disappointing live. Chalk it up to the Texas heat? Meanwhile, there are two awesome new Pet Shop Boys mixes of MGMT’s current single "Kids" out there—the "PSB Abstrakt Mix" and "PSB Synthpop Mix." I’m not sure pop really got more perfect than Chris Brown’s "Forever" in 2008. Albums that will be worth revisiting after December 31: The Ting Tings’ We Started Nothing, Robyn’s Robyn, Cyndi Lauper’s Bring Ya To The Brink and Kylie Minogue’s X. Ones that were perhaps a bit ahead of their time, or underappreciated: Santogold’s Santogold, Keane’s Perfect Symmetry and The Killers’ Day & Age. 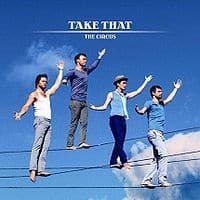 One import worth snagging: Take That’s The Circus. That said, rumor has it the album is getting a U.S. release in 2009. At $282 in earnings, by year’s end Madonna is set to see her Sticky & Sweet tour become the top-grossing jaunt ever for both a female and solo artist. 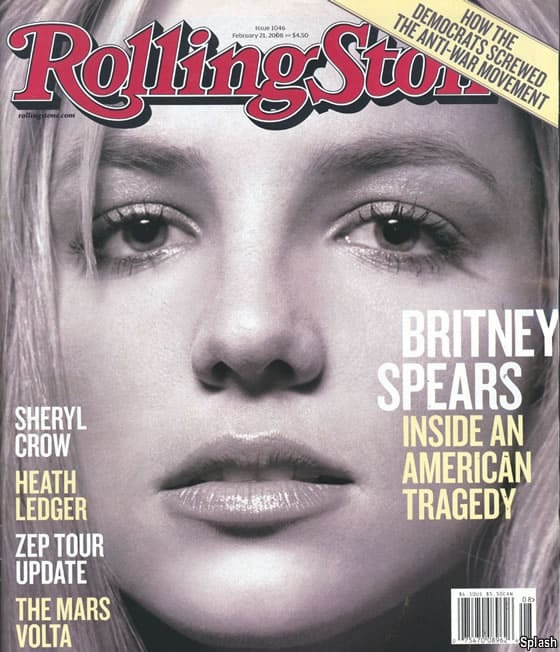 It was jarring to see Britney Spears on the cover of Rolling Stone in February for a story titled "Inside An American Tragedy," then nine months later with "Yes She Can: Britney Returns!" But return she did, scoring her first #1 on the Billboard Hot 100 since her 1998 debut single. She also landed her first two back-to-back Top 10 singles ("Womanizer" and "Circus") last week. It didn’t seem possible for any artist to make an equally-impactful version of "Run" as Snow Patrol’s 2004 original, but Leona Lewis somehow came close. Her cover has been the #1 U.K. single for two weeks now, and was just added to U.S. iTunes today. In the spring we all pondered whether Katy Perry was offensive with her songs "Ur So Gay" and "I Kissed A Girl." Who knew she had a decent jam like "Hot N Cold" up her sleeve, to boot? Kevin Cogill cooperated with authorities and pleaded guilty to leaking tracks from Guns N’ Roses Chinese Democracy online over the summer, ahead of the album’s November release. He could face a year in prison. Whoever can count the amount of times Andy Towle mentioned Lady GaGa gets a gold star. Following in the tradition of Sugababes and Girls Aloud, the Saturdays are the next in the line of great British girl groups who may never get proper exposure this side of the pond. David Archuleta sure is merry, lively and spirited! Finally, if ever there was a starlet deserving of claiming she sufffers from the grand Hollywood malady of "exhaustion," it just might be Rihanna. ELLEN DEGENERES AND BRITNEY SPEARS: Christmas caroling in L.A.
SARA BAREILLES AND INGRID MICHAELSON: "Winter Song," from the compilation Hotel Cafe Presents Winter Songs. GIRLS ALOUD: New single "The Loving Kind," co-written by Pet Shop Boys and Xenomania, and officially out in the U.K. next month. LILY ALLEN: "The Fear," new single (on iTunes now) from her upcoming second album It’s Not Me, It’s You. Fall Out Boy’s fifth album Folie à Deux, produced by Neal Avron and Pharrell Williams. 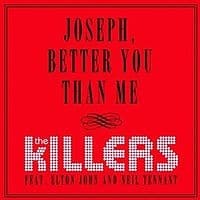 The Killers’ third annual Product Red AIDS charity single "Joseph, Better You Than Me," also featuring Elton John and the Pet Shop Boys’ Neil Tennant on vocals. Keyshia Cole’s third album A Different Me. Holiday songs by Lady GaGa ("Christmas Tree"), Slim ("This Christmas") and Lady Antebellum ("Baby, It’s Cold Outside"). New singles from Leona Lewis ("Run"), Bruce Springsteen ("The Wrestler") and R. Kelly ("I Believe").